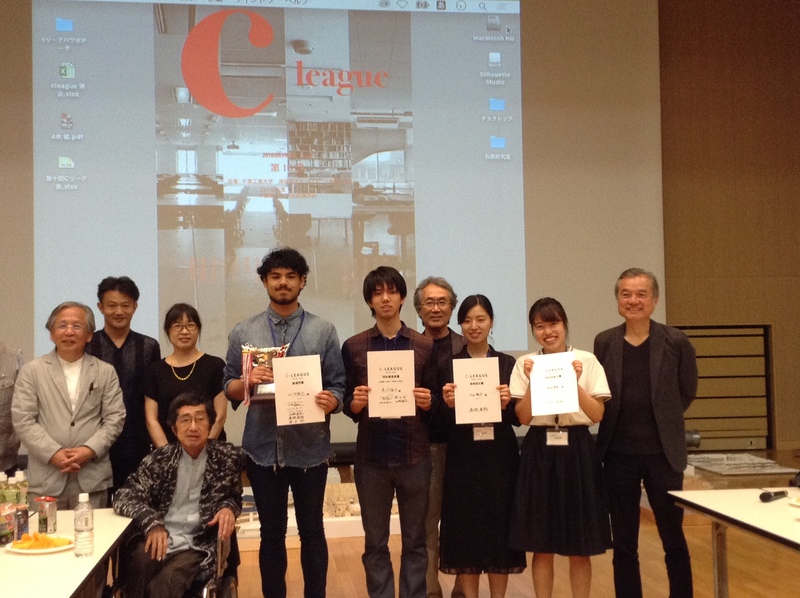 C-League is a design competition for 3rd year students held between 4 Chiba Prefecture architecture schools (Tokyo University of Science, Chiba University, Chiba Institute of Technology and Tokyo Denki University). A jury session was held on May 19 at Chiba Institute of Technology and TUS was represented by Akira Ochiai (Iwaoka Lab), Asako Koyama (Ito Lab), Haruka Sakata (Kakino Lab) and Asagi Minami (Iwaoka Lab). Haruka Sakata was awarded the Kazuko Akamatsu Award and Asako Koyama was awarded the Tatsuya Nagasaki Award. This was a great opportunity to hear a variety of opinons and thoughts across a number of universities.